Every year, ICA Principal, Letitia Prinsloo, travels abroad to honour her responsibility of exploring some of the world’s best restaurants in her professional capacity, conferencing with top chefs in order to keep tuition at the ICA up to date and on a world-class standard. These annual visits enable Letitia and husband Kobus the opportunity of exposing ICA students to some of the finest exotic ingredients available to the culinary fraternity. Students at the ICA work individually and constantly explore the most superior quality ingredients on offer. Through this unique exposure, students are able to develop their palates and creativity through intensive practical sessions, working with and tasting the best. This year was no different and ICA first year students were once again introduced to newly harvested, fresh truffles from Italy. 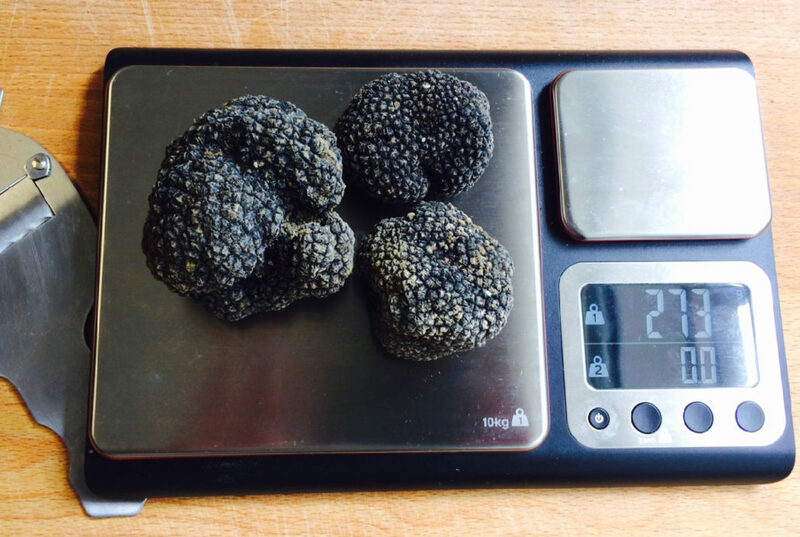 Tartufo Nero – or Black Truffles – are currently trading in the market for over R12,000 per kilogram, certainly making it one of the most expensive ingredients a chef may have the pleasure to work with! Adding to the ICA’s credo for disciplined culinary training, the importance of displaying the utmost respect for all ingredients is a topic often reiterated in the training kitchens on campus, ensuring that graduates enter the broader culinary arena with an acquired skill set that surpasses that of their peers. Our philosophy is simple – we believe in excellence in every aspect of the traditional culinary arts. Read more about the courses on offer or contact us to book for our upcoming Open Day on 15 September. Applications for 2019 / 2020 are now open.